Mainstream Brand PLC Comparison and Selection Guild. Panasonic PLC, Mitsubishi PLC, Omron PLC, Siemens PLC. Modern industrial production equipment, there are a lot of analog and digital control devices, such as the start and stop of the motor, solenoid valve opening and closing, the number of products, temperature, pressure, flow settings, and control etc. Programmable logic controller (PLC) has become one of the most effective tools, to solve these issue of automatic control. After have been selling PLC for over 10 years, I can’t help but want to write these things below and do a simple share. This article simply discusses how to choose PLCs. Currently on the market there are a lot of PLC products, in addition to domestic brands, foreign: Japan’s Omron PLC, Mitsubishi PLC, Panasonic PLC, Germany’s :Siemens PLC, South Korea’s: LG, etc.. 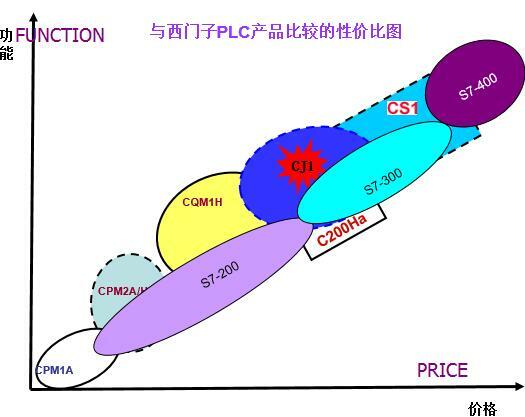 In recent years, the price of PLC products has been greatly reduced, it’s cost effective is getting higher and higher, which is one of the important reasons for many technical engineers to choose plc. Before we describe our choice, we have to look at several major groups in the international PLC market. United States, European, and Japanese products. PLC technology in the United States and Europe are isolated in the case of independent research and development, so the United States and Europe PLC products have obvious differences. The Japanese PLC technology is introduced by the United States, so USA and Japan PLCs are similar to a certain degree, but Japan’s main positioning is in the small PLC. The United States and Europe are known for their large and medium-sized PLC, while Japan is known for its small plc. First, let’s look at the PLC products in the United States, the United States is the PLC producing countries, there are more than and 100 famous PLC manufacturers, A-B company, General Electric (GE) company, Modicon (Modicon) company, TI (TI) company, Westinghouse etc.. A-B, which is the largest PLC manufacturer in the United States, accounts for about half of the PLC market in the United states. Japanese PLC is worth mentioning in international minicomputers, in some area, Using Panasonic PLC or Mitsubishi PLC small PLC can solved issues, which only large sized Siemens PLC can solve. Japanese PLC mainstream manufacturers include MITSUBISHI, OMRON, Matsushita, Fuji, Hitachi, Toshiba, etc.. Minicomputer recommended the use of Japanese plc. While the European PLC products led by Germany, the main market is occupied in the mainframe and midrange aspects. The main manufacturers of European PLC are Germany’s SIEMENS (Siemens) company, AEG company, France’s TE company, etc.. Germany’s SIEMENS electronic products are well known for their superior performance. In the field of large and medium PLC products with the United States A-B company. SIEMENS PLC main products are S5, S7 series. 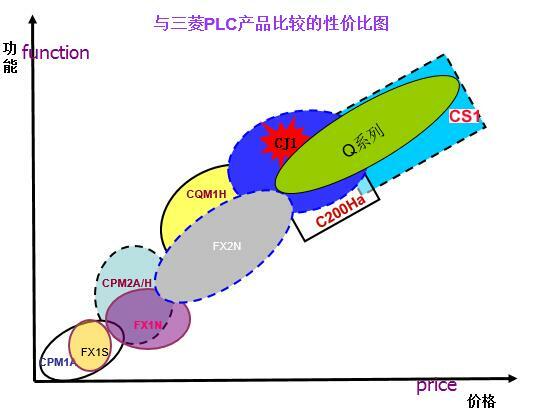 After reading the first three of the world’s PLC Groups, we talk about how to buy PLC products? First, the system scale, how many points the PLC need. Two, determine the load type, AC or DC output, High Current or Low current, Relay output or transistor Output. Three, storage capacity and speed. Four, listen to the programmer suggestion. Some software is easy to learn but too many commands, some software hard to learn but few command(Siemens PLC). The experience I got as below if it is not right welcome corrections. SIEMENS is strong in process control and communication control, their analog module price is very cheap, however, the PLC made in Japan have no this advantage, their analog module price is high and the programming is complicated. MITSUBISHI has the advantage of discrete control and motion control, to achieve some complex motion control is MITSUBISHI’s strengths. For example, some of the equipment is only some action control, such as the robot, you can choose the MITSUBISHI PLC, a device has servo or stepper to position control, you also can select the MITSUBISHI PLC. The central air conditioning, sewage treatment, temperature control etc. there are many analogs, select SIEMENS PLC more reasonable, if one equipment has a lot of data to be collected in a site by the instrument of communication, SIEMENS is your best choice. Therefore, for different equipment, different control methods, we should reasonably choose PLC, with its strengths, to avoid its weaknesses.